Making this thread as a place for people to confirm what glitches (if any) have been patched in the 3DS virtual console re-releases. On an unrelated note this is my first post even though I have been on this site for about 2 months without an account. I am a fan of Pokemon, Glitches, Touhou, Yugioh, Smash, Mario, Sonic, Kirby, (2D) Metroid, and MORE! In one of Nintendo's Japanese commercials, they show the Nidorino in the new game tutorial using Nidorina's cry. This may or may not mean that they didn't fix anything. That is a very good sign. There is a chance that they just didn't notice or care about fixing something as small as a slightly different cry in the intro. 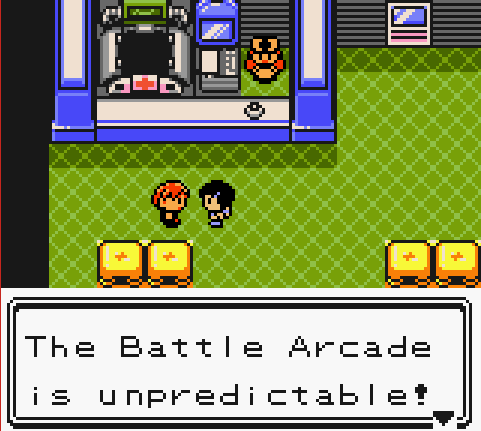 The 1st glitches we should test are obviously save corruption (Beat Yellow in 0:00), trainer fly(Mew Glitch), and exp underflow (LV 100 Before Brock). I bet they won't fix anything. Welcome to GCLF by the way! Some obvious things that were fixed in Yellow include Brock Skip, Coast Encounters and getting the Cooltrainer move. I guess they'll go for these first if they want to fix anything? Why bother speculating when as soon as it comes out we can dump the VC releases and look at the provided ROM and patcher config? I like shorts! They're comfy and easy to wear. I'm gonna mess around with RBY day of release so I'll let you guys know if I notice anything lmao, but yeah dumping the VC releases seems like the best/easier idea. Also I really hope they don't fix anything. Pls Nintendo. If they are anything like other eShop VC Titles then they will be very similar to the GB ROM format with some custom headers and slight changes. In the past you could use the web browser to inject GB ROMs into GB eShop titles. It was pretty cool. MissingNo glitch is confirmed to be still working. It seems that the only patches made were related to the link function, as well as reducing the flashing on animations (to prevent seizures). I note that here, actual src seems to have been used to create the patcher config, unlike with some other games, like Super Mario Bros DX, where what is obviously IDA output can be seen in the patcher config comments. I love how pokered seems to have better symbol names than the actual src! One string, at 0xA29DC is patched, to "Please come again!". I'm so glad they didn't touch anything besides the link stuff yayyyy! Page created in 0.356 seconds with 24 queries.